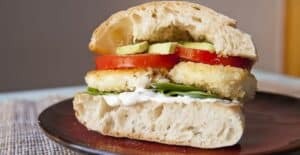 This Homemade Filet o Fish Sandwich is not kosher for oh so many reasons so I can’t claim that it’s good for passover. That said, it does include fish which is a common passover meal! But, like, it also has leavened bread and some dairy that may or may not be kosher. So, if you are sticking to a strict kosher diet then I suggest you don’t serve this delicious sandwich at your seder. It’s also just too messy of a situation for a formal, important meal like that. This sandwich is actually just in revolt to bad fast food fish sandwiches. Sort of like how I created the NickRib to counter-act that abomination of a sandwich, this is my answer to a fish sandwich craving. A much improved version of the filet o fish sandwich with baked breaded white fish and my favorite homemade tartar sauce. 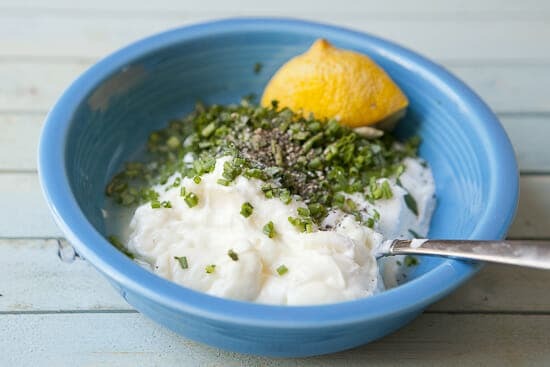 1) For tartar sauce, stir together ingredients in a small bowl. Feel free to taste and adjust to your liking. You might like an extra squeeze of lemon or extra salt and pepper. For a richer sauce you can also use all mayo, but I like a yogurt/mayo mix. 2) Preheat oven to 400 degrees F. Place a baking sheet in the oven to preheat as well. 3) Portion fish into 6-ounce pieces. Try to cut them so they will fit nicely on a sandwich and they shouldn’t be more than 1/2 inch thick. 4) Season the fish well with salt and pepper. 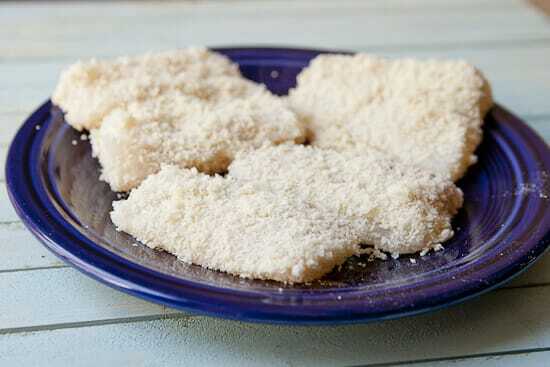 Then dust the fish with flour, then dip in milk, and then transfer to bread crumbs and pack onto the fish. 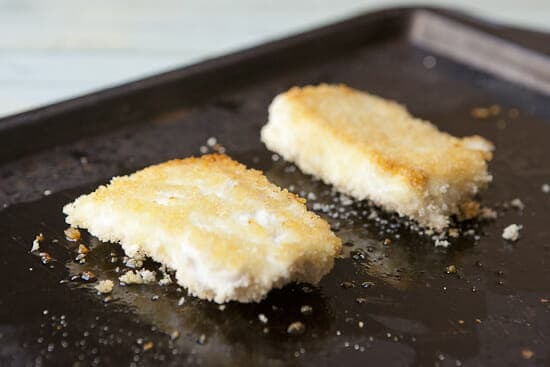 Move to a plate to let the breadcrumbs stick to the fish for a few minutes. 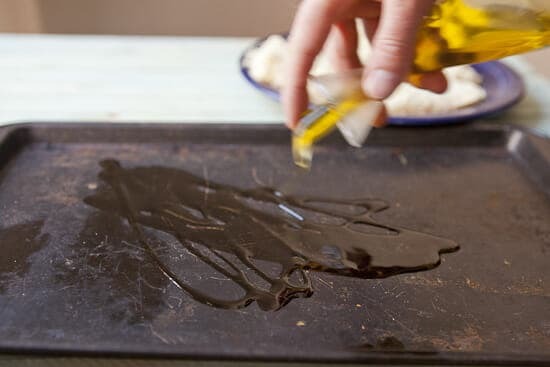 5) When ready to cook, remove hot sheet pan from oven and drizzle well with olive oil. Place the fish on the pan. Let bake for 8-10 minutes, then flip and bake for another 8-10 minutes until the fish is nicely browned and cooked through. It should flake apart easily. 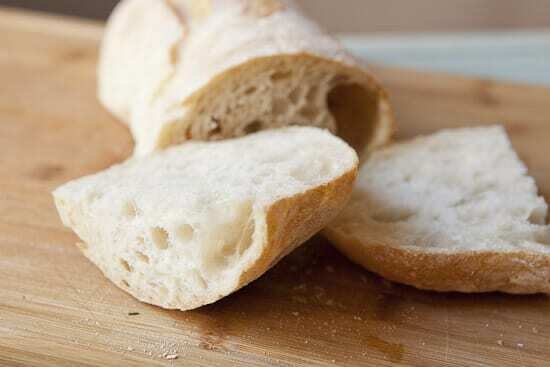 6) Toast sandwich rolls or bread and slather with tartar sauce. 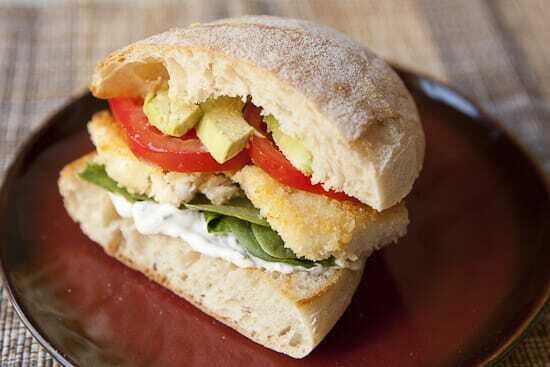 Top tartar sauce with baby spinach and add baked fish to the bread and top with tomatoes and avocado. 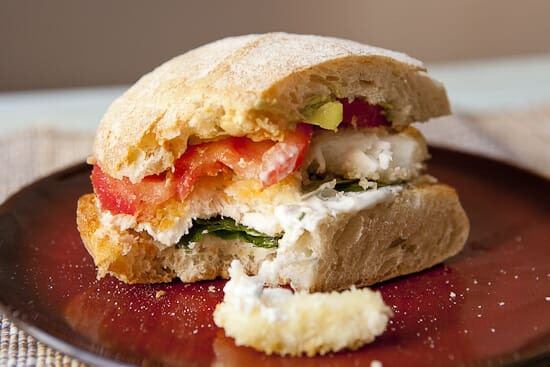 Top the sandwich with the other piece of bread and serve immediately! You’ll need lots of napkins. It’s messy! Adapted from Tyler Florence's fish sandwich. 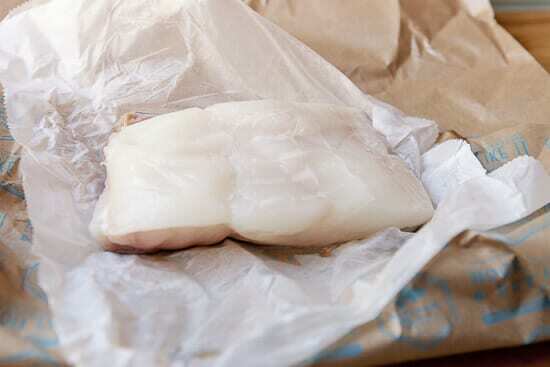 I used a really nice piece of Alaskan halibut for my sandwiches, but it’s not really necessary to go that crazy. Any good white fish will work fine. A nice filet of cod or something would be fantastic. Any good white fish will work. 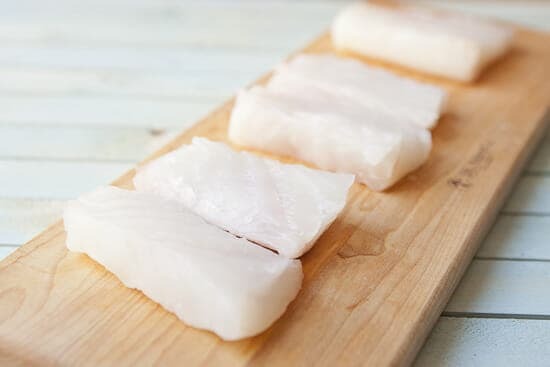 Whatever fish you are working with, cut the skin off of it (not great in a sandwich) and portion the pieces into roughly 6 ounce pieces. That makes a really big sandwich. You also don’t want your fish pieces really thick so it’s okay to cut them in half lengthwise as well. These are the pieces I ended up with for my sandwiches. Season the fish with salt and pepper and then dust with all-purpose flour. 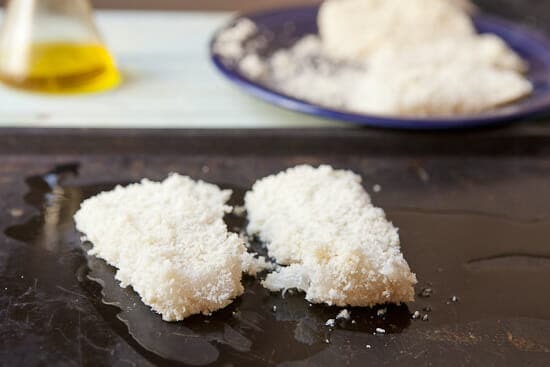 Dip the pieces in milk and then transfer them to Panko breadcrumbs and pack them tightly so the breadcrumbs stick to the entire filets. Let these sit for a few minutes so the outer crust hardens. You could just toss these suckers in a fryer, but I wanted to try to use a new baking method for this version. It worked great and was really easy so I definitely recommend it. Crank your oven up to 400 degrees F. and preheat a sheet pan in the oven. When the oven is pre-heated and the sheet pan is hot, remove it and drizzle it well with oil. Then add your fish to the pan and it should sizzle some. Return it to the oven and let it bake for 8-10 minutes. That pan is really hot. Then flip the fish and it should have a nice golden brown crust on it. Let it bake for another 8 minutes or so on the second side and then you’re all set. It’s definitely possible to over-cook the fish, but don’t worry about it too much. The breading will lock in some moisture so as long as you are in the ballpark your sandwich will be fine. Now let’s talk sauce for our Homemade Filet o Fish Sandwich. A tartar sauce is a classic topping for a sandwich like this and this is one of the better ones I’ve made. It has lots of fresh herbs and pepper. It’s also an even blend of mayo and Greek yogurt which lightens it up a bit. You just stir everything together. Couldn’t get easier! The only mistake I maybe made for this Homemade Filet o Fish Sandwich is the bread I chose. I went with a really crusty loaf of ciabatta, but I think it was maybe a bit too sturdy for the delicate fish. Just maybe a soft roll of some sort might have been a better choice. Whatever bread you’re using, definitely toast it. If there’s a lot of body to your bread, feel free to rip out some of the inside body so the sandwich fillings can kind of nest in the bread. Slather both pieces of bread with the tartar sauce and layer your sandwich together. I like to go: spinach, fish, tomato, ‘cado. I had to take a bite. Just to put it in perspective, I would definitely not pay a few bucks for this sandwich (and please don’t put cheese on a fish sandwich), but I would pay like $8-$9 bucks for this sucker. The Homemade Filet o Fish Sandwich is substantial and everything a fish sandwich should be. I’ve made this, too (except with catfish because I live in New Orleans). I’m generally a bread snob as well, but I use hamburger rolls and I think it’s the only way to really go (you are replicating fast food, after all) – of course nobody is saying you couldn’t bake fresh hamburger rolls. Since I use catfish, I soak it a few hours in buttermilk and hot sauce to pull out the mucky flavor and marinate it with some good flavor. I’ve done it more plain like you have and topped it with tarter sauce (i mince up pickles in mine); but (since it’s catfish) I also like to season it with salt and cayenne and then dredge it in cornmeal before cooking. Then, instead of tarter, I make a creole mustard sauce. Yum! The other fast food sandwich I replicate is a chicken sandwich (spicy chicken breast, lettuce, and mayo). Ever since I started making this, I haven’t been to a fast food place (I rarely went anyway, but this is what I always ordered). Certainly I’ll make better chicken sandwiches than this on the regular, but I keep a few cooked chicken breasts and hamburger rolls in the freezer for those nights after a lot of drinking when I would otherwise hit Wendys. I like this post. I remember you used to replicate more things from McDonalds to keep Betsy from going there (I think it was mainly the nuggets, though). Tried this tonight and it was soooo good! That tartar sauce! Have made a few of your recipes and am never disappointed. Thanks! « Drop That Scone! Recipes Home » The Internet Kitchen: Book Launch!